Two entrepreneurs were detailed and later released after questioned Bihar's start-up policy. Patna: Two entrepreneurs in Patna were detained for hours and questioned by police allegedly for questioning Chief Minister Nitish Kumar on start-ups during an event on Tuesday, police said. Nimi Kumar and Suresh Kumar, both in their 40s, were detained for hours after they tried to ask questions to the Chief Minister related to the state government's policy to promote start-ups and entrepreneurs in the state. Both have been released after police found nothing against them, he said. A senior police officer said two people were detained for a few hours after they tried to misbehave with the Chief Minister during a function but denied that they were mentally tortured and harassed. Soon after they questioned Mr Kumar, they were detained by the special branch of Bihar police and were subsequently questioned, a close relative of Nimi Kumar said. A family member of Suresh Kumar, on condition of anonymity, said their "crime was that they dared to put genuine questions before the Chief Minister in connection with entrepreneurship. 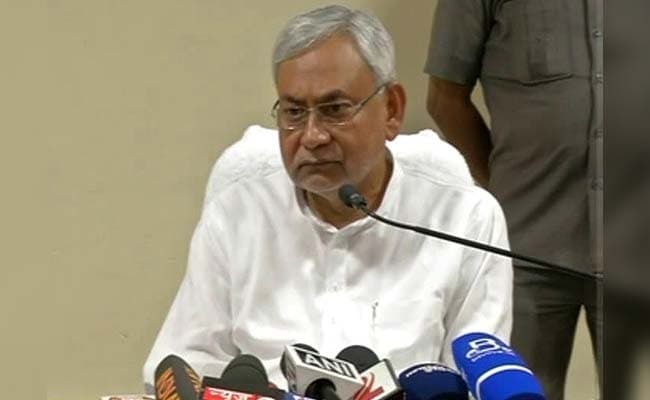 It has sent a negative message about Bihar police," he said.